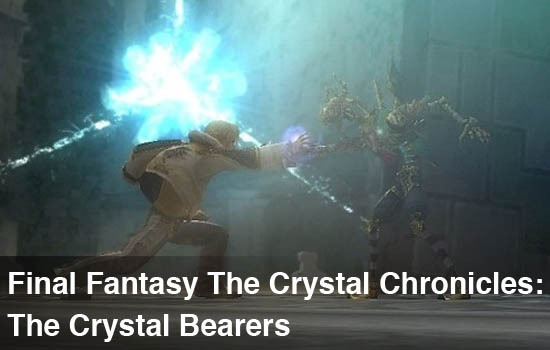 While the past Crystal Chronicle titles had a strong focus on cooperative play, the upcoming title The Crystal Bearers for the Wii is instead focused on single player gameplay. There is still co-op play, though it might not be what people expect. The game's producer, Akitoshi Kawazu was kind enough to answer a few question we had about the latest title. Co-Optimus: Can you describe the game's co-op mode in detail? Is it merely an assist mode, or will player two have some sort of persistent character? Akitoshi Kawazu: It is essentially an assistance mode that enables an additional player to jump in using a second Wii Remote and perform any action except for controlling the main character. Players can have fun pursuing high scores or completing difficult stages together. Co-Optimus: Previous Crystal Chronicles game employed a co-op mechanic where players created their own characters and worked together as a team to take on enemies and bosses. With such an emphasis on the main character for Crystal Bearers, how will the game ensure other players can stay as engaged and active while playing? Akitoshi Kawazu: We built this game to ensure that everyone can enjoy it just by watching players being engaged in with the open-world exploration and discovering the variety of reactions from NPCs and creatures. A second player can also join at almost any time while the first player is playing. Co-Optimus: What inspired a control scheme based on telekinetic powers as opposed to the usual hack-n-slash/magic attacks of the previous Crystal Chronicle games? 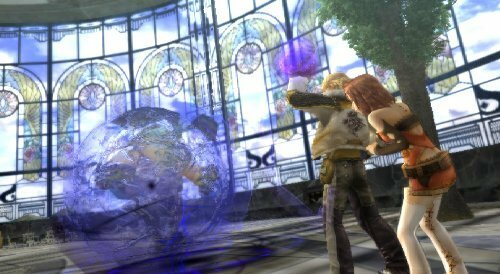 Akitoshi Kawazu: Layle’s powers evolved throughout the development process, but we ultimately decided to focus on his gravity-controlling abilities, as we felt this power best highlighted the Wii Remote’s friendly control capabilities. Co-Optimus: In another interview, it was mentioned that Square Enix wanted to create their own kind of "open-world" game. Why now and why this game? Akitoshi Kawazu: The hardware generation has progressed, and graphics have advanced significantly. I felt the contents of the game would also have to evolve accordingly. Additionally, Wii’s control system is the perfect complement to the expression of an open game world. If we had used a traditional control system, the game may have incorporated traditional features like NPCs providing explanations. But since we were working with Wii, we could forgo explaining by words and instead express the world in an intuitive fashion. Page created in 0.8224 seconds.